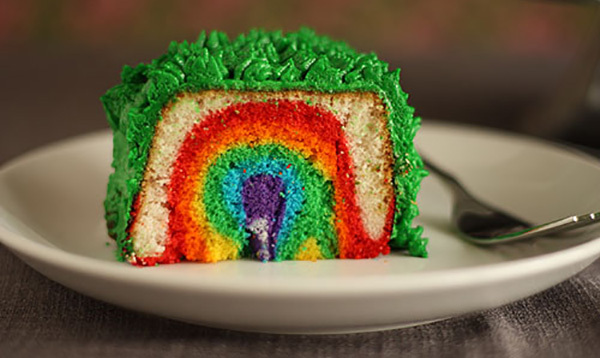 All things bright and wonderful, it's our rainbow roundup! All things bright and wonderful, it’s our rainbow roundup! If you’ve been long looking for a pot of gold at the end of the rainbow, this post may well be it. We’ve done the digging for you, just click on through to reveal a round up of our most favourite rainbow themed and inspired Babyology posts! 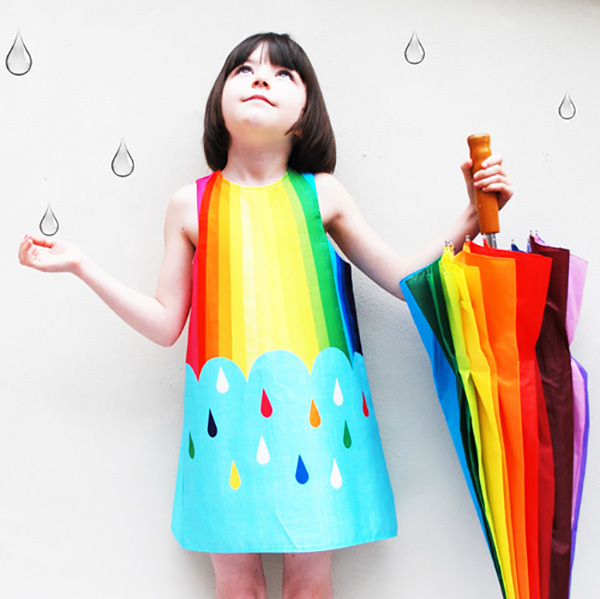 We’ve unearthed some truly magnificent rainbow finds in our Etsy find of the day posts, a stand out being this sensational Rainy Day Rainbow Spectrum Dress, priced $85 from Etsy store Wild Things Dresses. Grimms blocks are always big on beautiful rainbow colour, but it was the recently featured Grimms Rainbow Tunnel that really took our fancy. 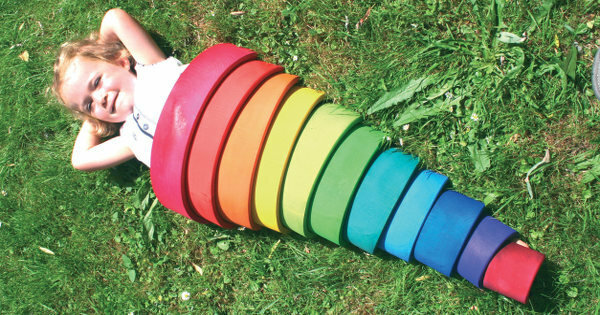 Children young and old will love to tunnel through this rainbow, it’s priced $125 from Honeybee Toys. The post that seemed to start the rainbow fascination here at Babyology was this spectacular rainbow layered masterpiece of pure Rainbow cake goodness. You can find all the details on how to make it yourself (of course you can!) over at Whisk Kid. 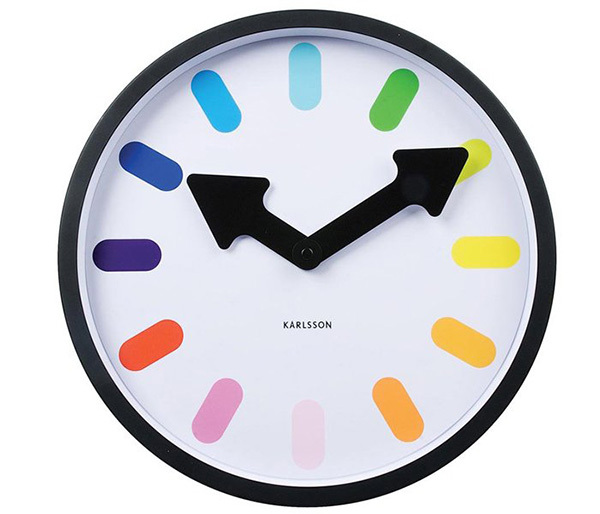 You can’t get through the day without checking the clock at least once, so why not make a fun time statement and perhaps tell the time in colour, with the contemporary and fun Pictogram Rainbow Clock, $55 from Talo Interiors. 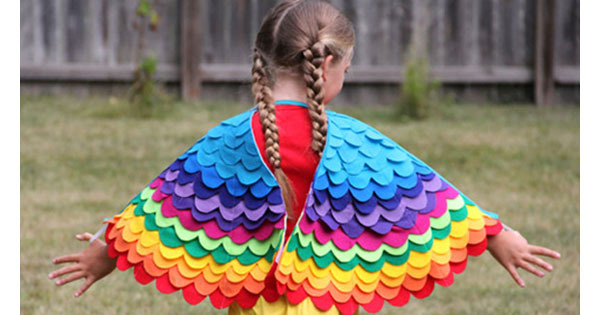 Sure to be a showstopper in any dress up box, these gorgeous handmade Rainbow Wings are fit for super heroes and beautiful birds alike. You can find them on Etsy from Superkid Capes, priced $100. 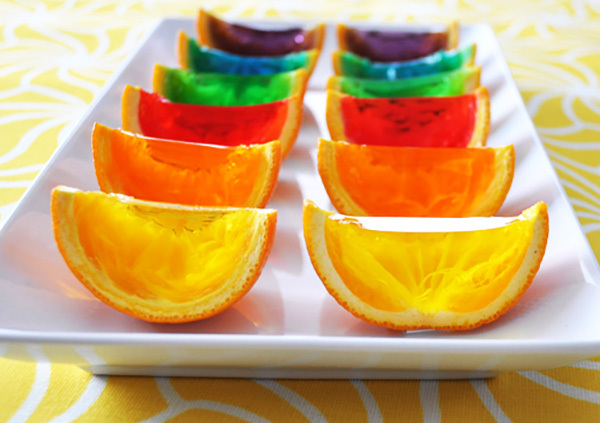 Jelly oranges are always a hit with the kids at a party but if you want to go the extra rainbow mile, be sure to try these awesome multi coloured jelly orange wedges. We have full instructions on how to (easily) do it yourself! 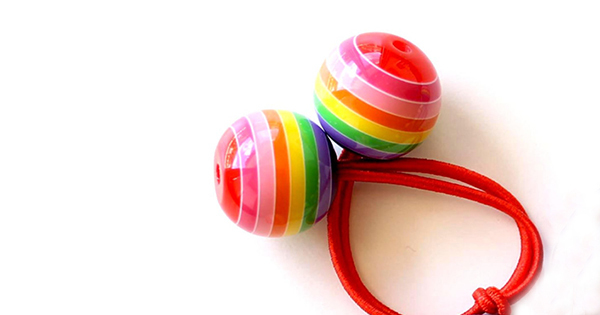 Not escaping our rainbow net, PlayableART is part toy, part art and a whole lot of fun. 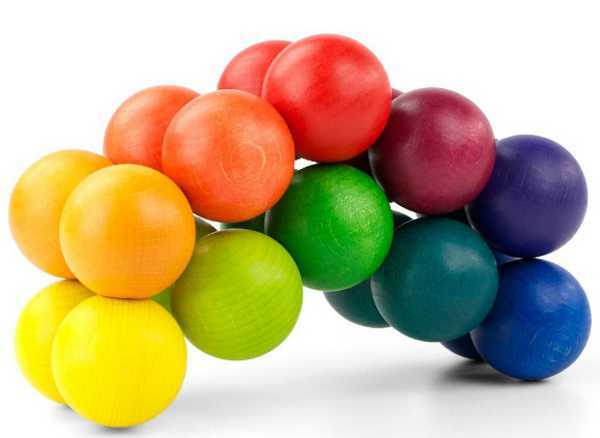 Twist and turn the twenty interconnected coloured balls to make all sorts of shapes and sculptures. Priced $54.95, you can find these gems at Entropy. 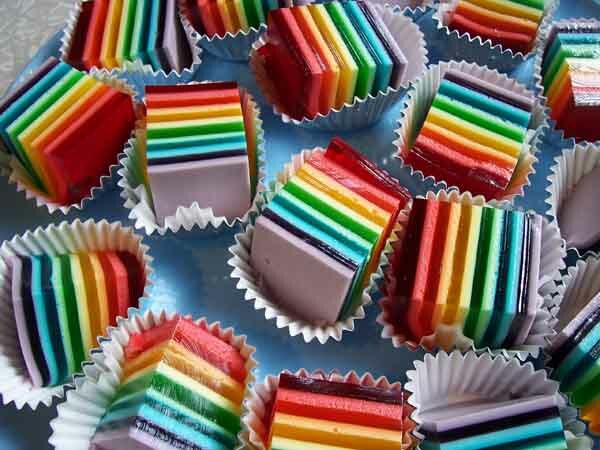 Once you’ve mastered the aforementioned jelly orange wedges, you really have to turn your hand at this almost-too-pretty-to-eat Rainbow Layered Jelly. You need a whole lot of jelly, some time and patience, plus a level fridge surface, but the end result of jelly worthy of an art award, is definitely worth it. A gorgeous blanket for snuggling this winter, the Ripple Blanket is guaranteed to brighten any gloomy and grey day. 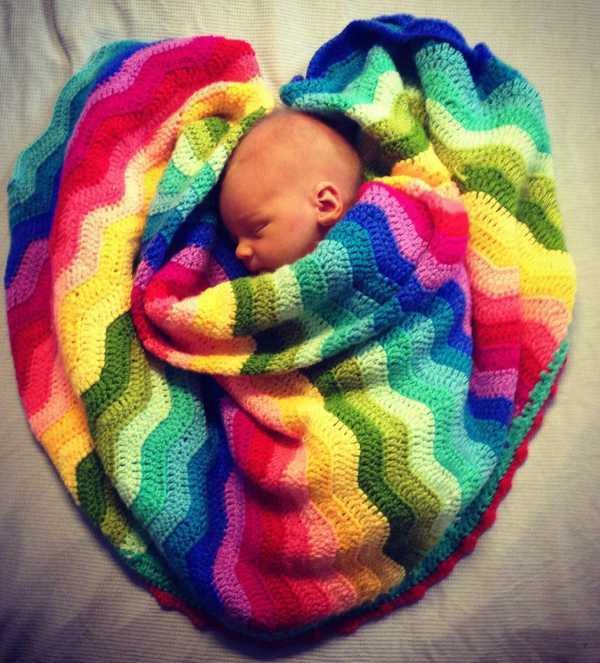 Hand crocheted in all the glorious hues of the rainbow, this blanket is priced $74.95 from Mummys Little Essentials. 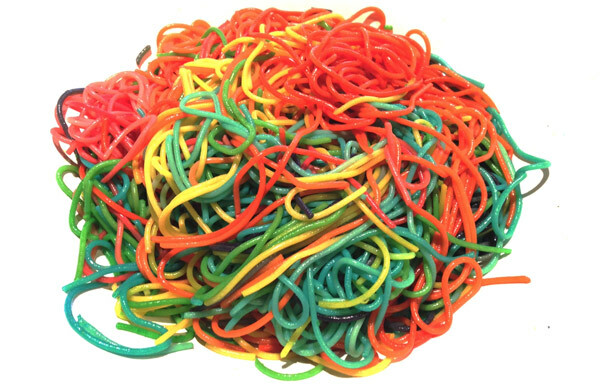 At the height of our rainbow phase, our very own Chief Operations Officer Ben created a delectable dish of Rainbow Spaghetti for his gorgeous girls. We’re not sure it was his finest Masterchef moment, but we have no doubt many laughs were had at the dinner table! Looking like they escaped the lolly jar, we love the yummy boiled sweet look of the Rainbow Hair Bobbles, $6.50 from Etsy store Smukie. The best bit, being rainbow coloured – it’s a hair accessory that coordinates with most outfits. We saw many stunning versions of the layered rainbow cake, but we also loved this clever take on it, the Leprechaun Trap Cake – and just in case you’re tempted to give it a go, there’s a full tutorial at Not Martha. 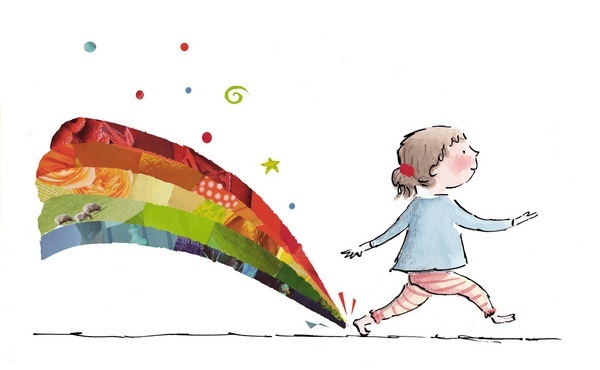 Our weekly Sunday Arts segment didn’t miss out on some rainbow action with the beautifully illustrated story of Esther’s Rainbow, an absolute treasure for any rainbow enthusiast’s home library. 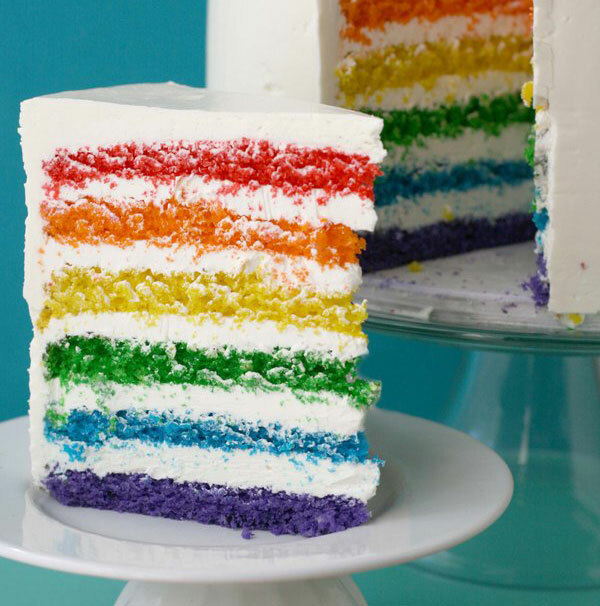 Our biggest rainbow themed post, pinned on Pinterest more than 8000 times, is the sensational Tessa’s Rainbow Party from Babyology reader Simone. 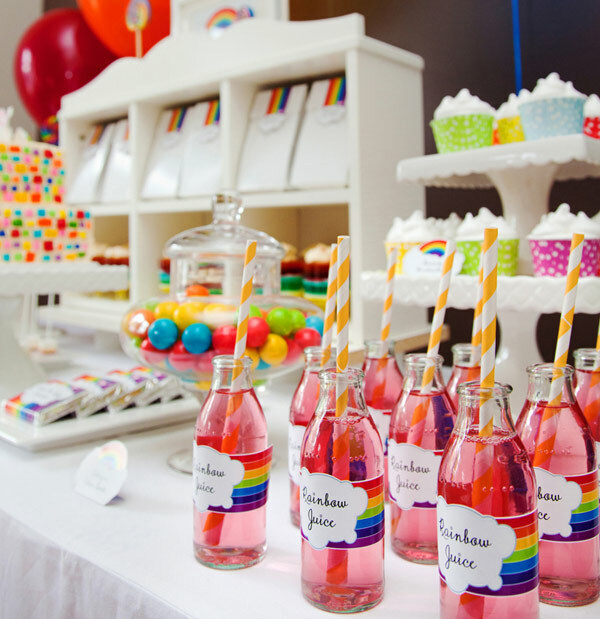 If you’re planning a birthday party yourself, this is one post not to be missed – it’s brimming with gorgeous rainbow inspiration!